Qello: HD concert films and music documentaries of your favorite artists. Crunchyroll: Over 600 shows of the latest Japanese anime and drama. This update is not so great as both the apps are paid and required subscription to view the content. 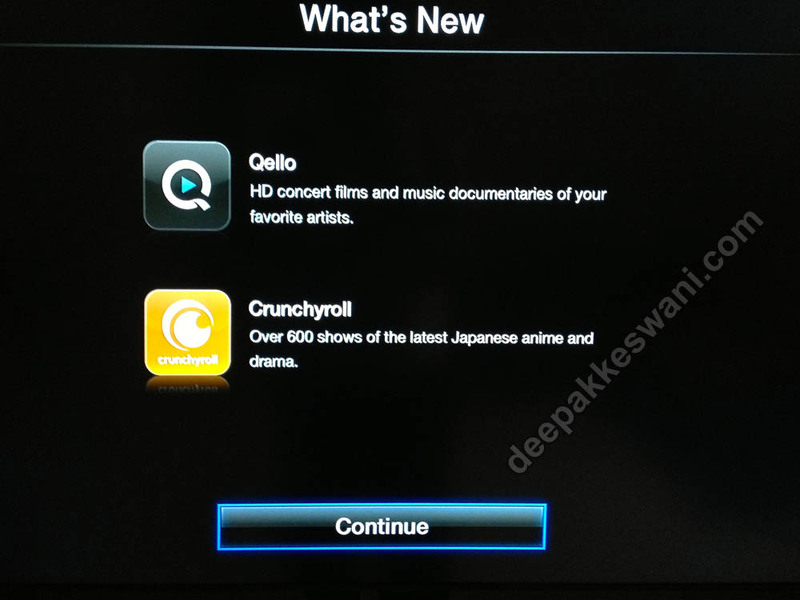 With these two updates and WWDC Event app this is how the Indian Apple TV startup screen looks like. In American and UK version of the stores there are few more apps introduced recently. One which is noteworthy is SKY News. 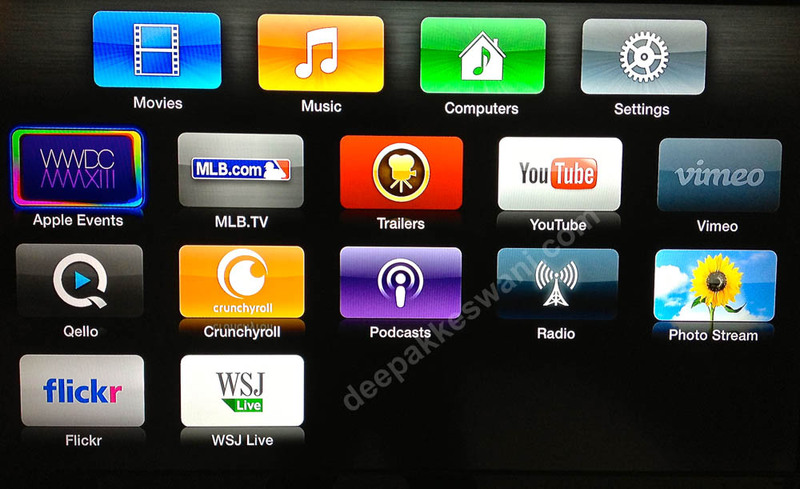 This is free news service added to Apple TV streaming.